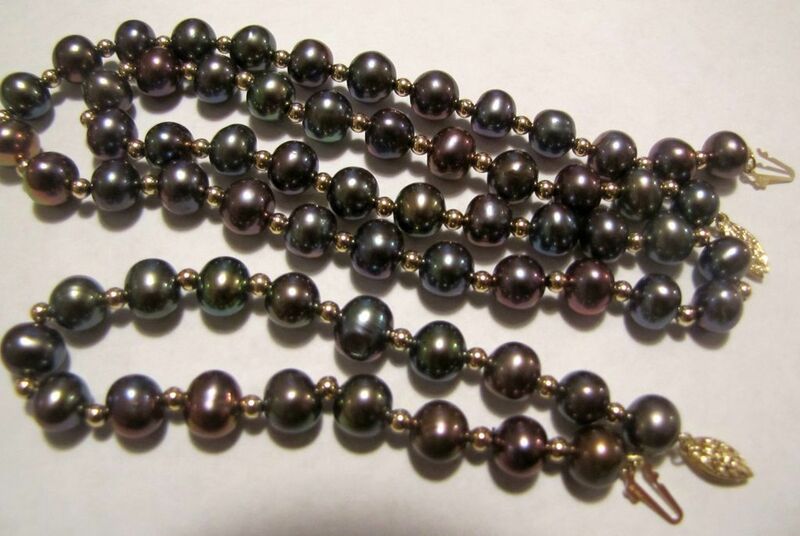 This is a gorgeous black peacock genuine cultured pearl necklace and bracelet set with 14K clasps and solid gold beads. The pearls have gorgeous overtones of black, purple, mauve, blue and green. 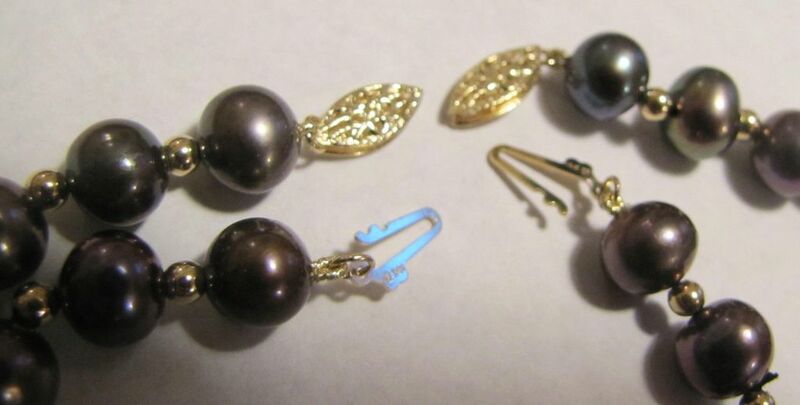 Both of the gold, locking clasps are marked 14K and the beads are also gold. 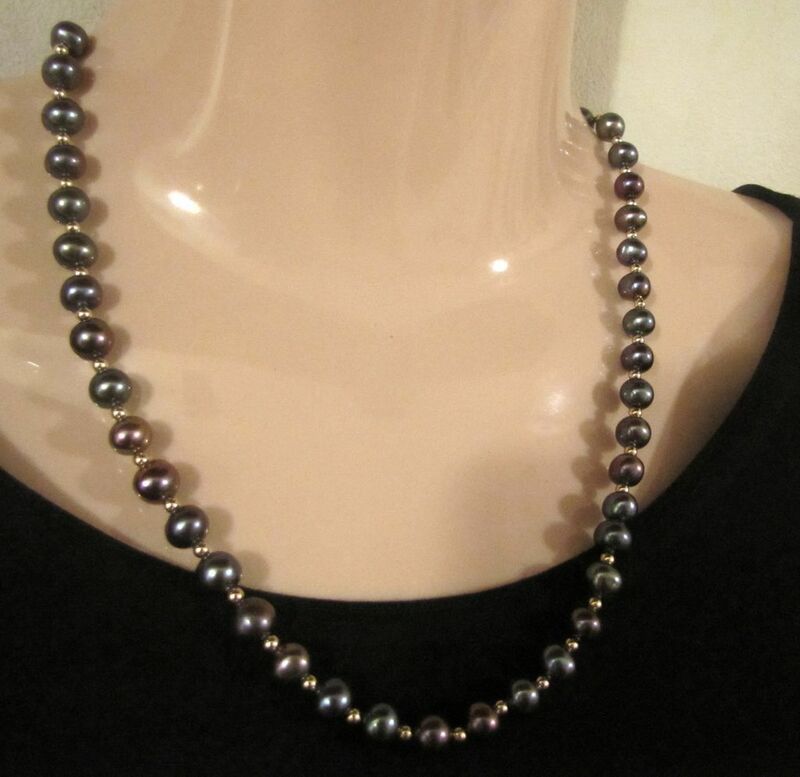 The necklace measures 18" long and the bracelet is 8". 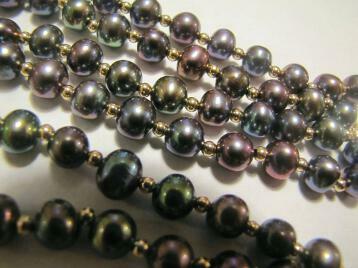 The pearls are a good size and between 7-8 mm. The mannequin used is a full sized body. Both pieces have a substantial weight of 40.6 grams together and are in very good condition.